Even after I used simple examples to explain why the popular pay-as-you-bid system is inefficient, most people seem to have difficulties seeing the simple point. At the end of the session, I had a discussion with two fellow economists, one from the Nanyang Technological University (NTU) and the other from the National University of Singapore (NUS). The NTU economist predicted that the government will soon (before the next general election) be forced by popular public opinion to use the inefficient pay-as-you-bid system; he believes that the public will not be able to see its inefficiency against the current Vickrey auction (named after a Nobel laureate). I ended up siding with the NUS economist to bet $10 each against the NTU economist. I trust that the Singapore government is wise enough not to give in completely to incorrect but popular demand. The Vickrey auction is also called second-price auction because, for the simple case of a single item, the winner pays only the second highest bid. To see why this is most efficient, suppose that there are only two items of the same type to be auctioned. There are four bidders each willing to pay a maximum price of $4,000, $3,000, $2,000, and $1,000 respectively. But each bidder only knows her own willingness to pay, not those of others. Under the Vickrey auction, each bidder has the right incentive to bid her true maximum willingness to pay. After the bids are collected, the two items are allocated to bidders one and two. However, instead of paying their respective bids of $4,000 and $3,000 (as are required under the pay-as-you-bid system), they pay only the highest missing out bid of $2,000 plus $1. The items are allocated to those who value the items highest. Those missing out are not willing to pay for the price actually paid ($2,001). In contrast, if the pay-as-you-bid method is used, if bidders one and two still bid their true maximum willingness to pay, they will have to pay $4,000 and $3,000 respectively. They would not be gaining anything in "winning" the bids, as they have to pay the maximum amounts over which they do not want to get the items. This will motivate them not to bid their true willingness to pay. As all bidders try to underbid in different proportions, the final outcomes may involve allocating the items to bidders with lower willingness to pay. Also, using the pay-as-you-bid system need not result in lower COE prices as its proponents hope. While the marginal winning prices may fall, the average prices may in fact increase. 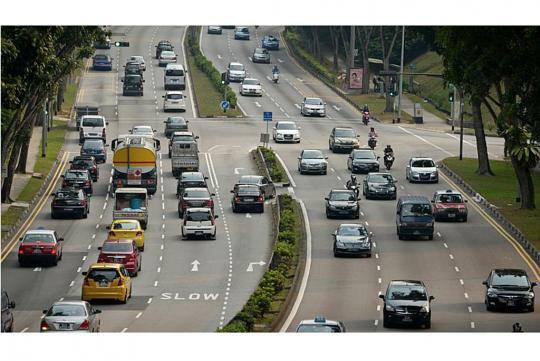 We should also not worry too much about high COE prices since car ownership is not a necessity in Singapore - the revenues from COE may also be used to improve public transportation or to provide other public goods. In addition, the rich-poor question should be tackled by the general distribution policies. Thus, if one really understands the inefficiency of the pay-as-you-bid system, one should not blame the existing efficient system. On the other hand, if my NTU colleague is correct that the public will not understand, should not we regard the issue as a technical one that should be left to the experts? We leave the details of bridge construction to the engineers and the choice of different medicines to the doctors; should we not leave the choice of different auctioning systems to the economists or auction theorists? Leaving difficult decisions to the experts is especially sensible where the public does not understand the technicalities and where there is a virtual consensus among the experts. The government has moved towards being more liberal and more responsive to public opinion. This is a healthy trend. However, for the long term interest of the people, it should dare to persist in good policies despite temporary unpopularity. On the issue of COEs, it has already given significant concession to populism by having the category for small cars - though it should further eliminate expensive cars from this category - so as to lower its COE prices. It should also impose high taxes on luxury cars and on petrol on the efficiency grounds of diamond goods (goods valued for their value) and external costs. Insistence on the excellent Vickrey auction system will partly mark a right balance between elitism and populism, a desirable trait of a true democracy. This is the article I've been waiting for. An article which makes sense and not your typical "here are some suggestions which i think might work".